On May 4, Chinese President Xi Jinping, also general secretary of the Communist Party of China Central Committee and chairman of the Central Military Commission, delivered an important speech in commemoration of the bicentenary of Marx’s birth. Applying Marxism to Chinese realities, CPC has constantly advanced theoretical innovations. The Party has made great achievements in leading China’s revolution, construction, and reform and opening up, ushering in brilliant prospects of rejuvenating the Chinese nation, said Gao Jiwen, dean of the School of Marxism at Shandong Normal University. Hao Lixin, dean of the School of Philosophy at Renmin University of China, said that Marxism is not “dead” but “living,” not rigid but developing. 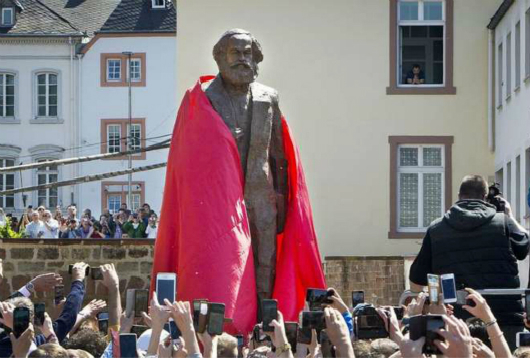 Marxist theory still plays a role and has value today because it is constantly changing and developing with practice, and advancing with the times. Han Xiping, executive deputy director of the Research Center for the Theoretical System of Socialism with Chinese Characteristics at Jilin University, said that the vivid practice of socialism with Chinese characteristics in the new era has not only provided us with a historic opportunity from standing up, to growing rich and to becoming strong, but also blazed a new trail for other developing countries to achieve modernization. It offers a new option for other countries and nations who want to speed up their development while preserving their independence, and Chinese wisdom and a Chinese approach to solving the problems facing mankind, making Marxism full of vitality in the 21st century, Han said. The most crucial aspect of the continuous display of Marxist truth and brilliance in China is the organic integration of Marxism with the practice of contemporary China as well as manifesting and constantly stimulating the power of truth in Marxism in the historical cause of realizing the great rejuvenation of the Chinese nation, said Cui Weihang, deputy director of the Institute of Philosophy at the Chinese Academy of Social Sciences. For contemporary Chinese scholars, the key to mastering Marxism as the specialty is conscientiously grasping its essence, basing oneself on China’s land, and unswervingly continuing to follow the correct path under the guidance of Marxism for Chinese revolution, construction and reform.